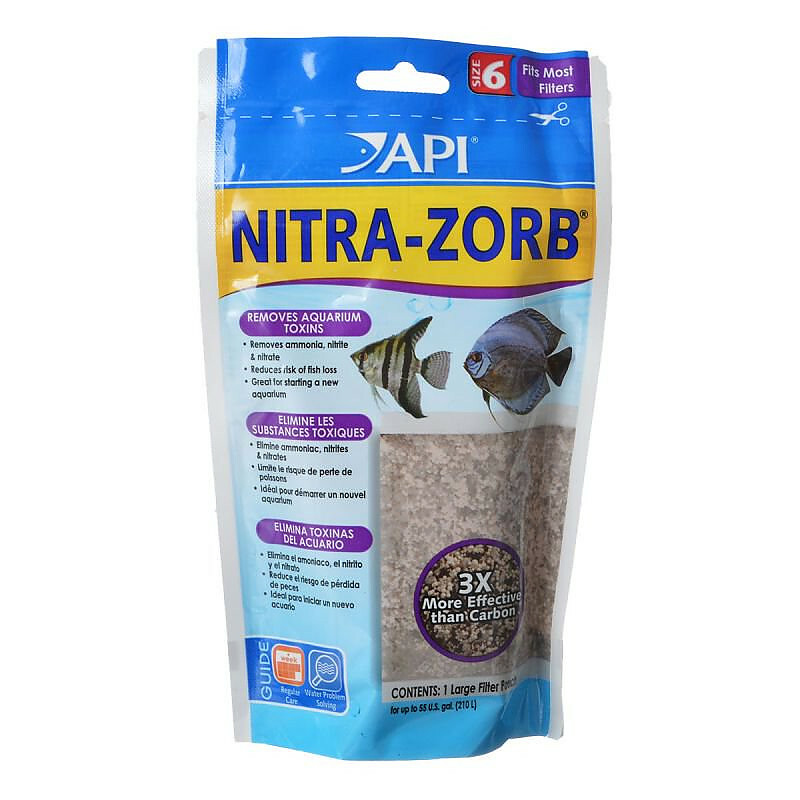 API Nitra-Zorb for API and Rena Filters is a convenient pouch of natural and synthetic ion-exchange resins that selectively remove ammonia, nitrite, and nitrate from freshwater aquariums. Completely phosphate-free and ready to use! API Nitra-Zorb filtration pouches are scientifically proven to remove toxins in aquarium water, including NH3, NO2-, and NO3- to support the health and longevity of fish and plants. 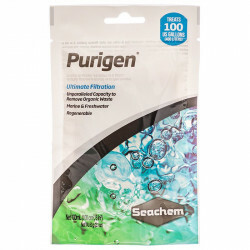 Instructions: Easy-to-use pouch works 2 months, change regularly for clean & clear water. I have a 200 gallon fish tank for quadraphonic gardening inside a green house. I was going through API Ammonia Lock quite extensively. 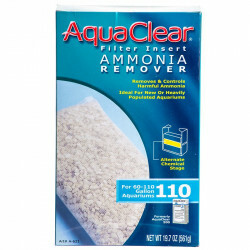 This product really works well and is less expensive because one can regenerate the pads with API salt. I really appreciated the lower cost (in bulk) - the free shipping - and the quick delivery. On a scale of 10 with 10 being an A+ - I give Pet Mountain a 10 and this product a 10. Wow finally I found something that really works - my nitrates are at zero. l tried other products to lower nitrates, did not work, I ordered two pouches and they keep my water crystal clear and my nitrates at zero. I will be ordering more. The service at PetMountain and fast shipping are the best and the prices are way better than any other store. Fits like a glove in my API filter. Dropped my nitrate levels down 4 points in just 1 night so far. 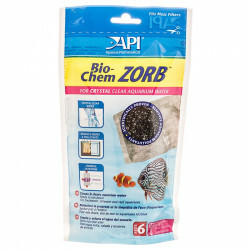 Good stuff for busy people like me who can't do water changes as frequently as we would like. I have Pearlscale and Oranda Goldfish. This stuff has greatly improved the water quality for longer periods of time.